Is Malcom going to stay or leave? Ter Stegen: "After the game, I told De Gea that we are all humans and that this (the second goal) could have happened to me as well. The truth is that it took me a while to celebrate that goal, because he shares the same position as me, and i share his pain. But life will continue"
What do we need to win La Liga? The man who can dribble past anyone, against the man who cannot be dribbled past. Ole Solskjaer: "Barca did bang, bang and it was over. The attitude was good. At 3-0 we knew we were out but the team still held together. We want to return to Champions League but for that we have to finish the league." Let’s talk the semis - who do you want our boys to face? blue or red?! How would you line us up next season, fixing the non existing right wing position? Was bored and decided to see just how great Messi is..
How good would Rakitic be outside of Barca? 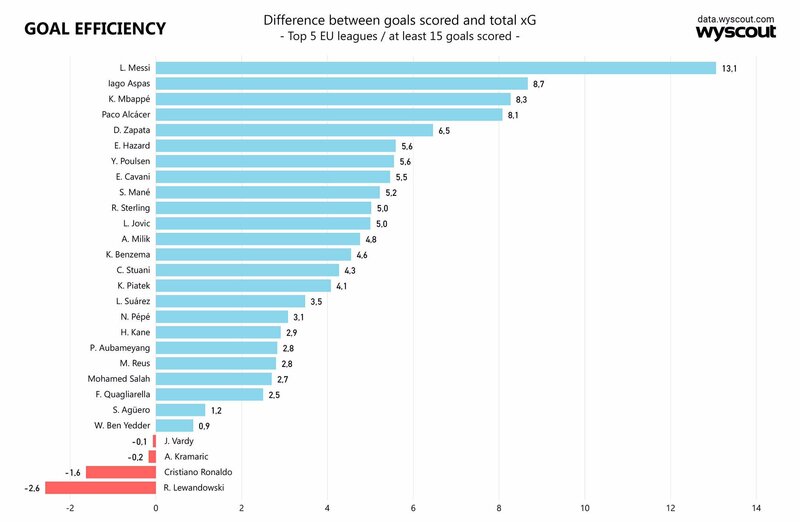 Messi is the 4th highest scorer vs Premier League's top 6. 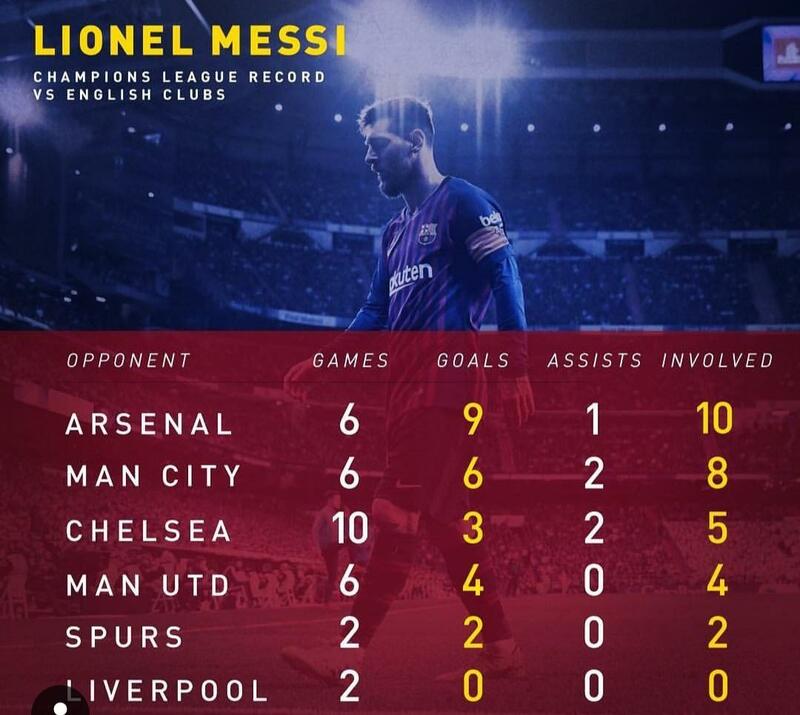 Messi has never played in the Premier League. What position at Barca is the most physically demanding? Centre mid? Outside back? Winger? Can i take a backpack with me into the Camp Nou? Could this lineup work next season? Ousmane Dembélé and his surprising resurgence. Open Thread: Art, memes, photos, videos, general questions etc. The top 13 in laliga are still in contention for the top 4 spot while 14 onwards can still fall into the relegation zone. 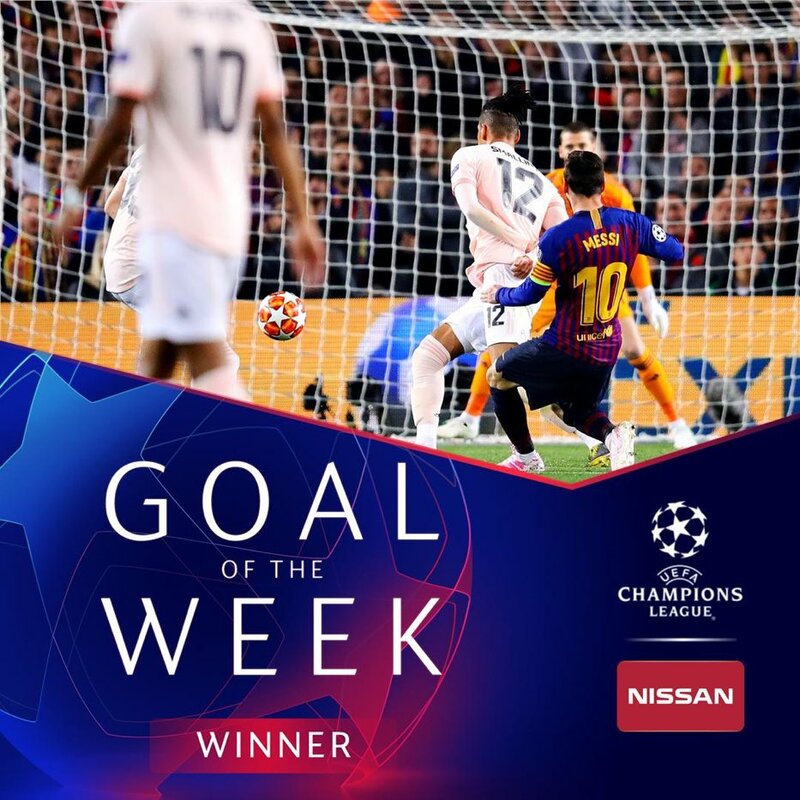 FC Barcelona and Real Madrid help smaller LaLiga clubs in the U.S.
One question about Barcelona vs Man utd match: why during "the champions" CL hymn did the crowd hiss so much? Dembélé’s league goals/assists by foot: Left: 14 goals and 14 assists, Right: 14 goals and 14 assists. Lionel Messi has been nominated for UEFA POTW. Messi surpasses Iniesta and becomes the Barça player with the second most appearances in the Champions League. Who has been the best cb at Barca this season? This is hands down my favorite Nike Commercial with Barca in it. This is why Suarez is so important: he doesn't even touch the ball but leaves a disorganised defence for Messi to excel in. Leo Messi has equalled his last season’s tally of club goals (45) and assists (18) in 12 fewer games and with at least 9 more games left to play this season. What player other than Messi makes you the happiest when they score? 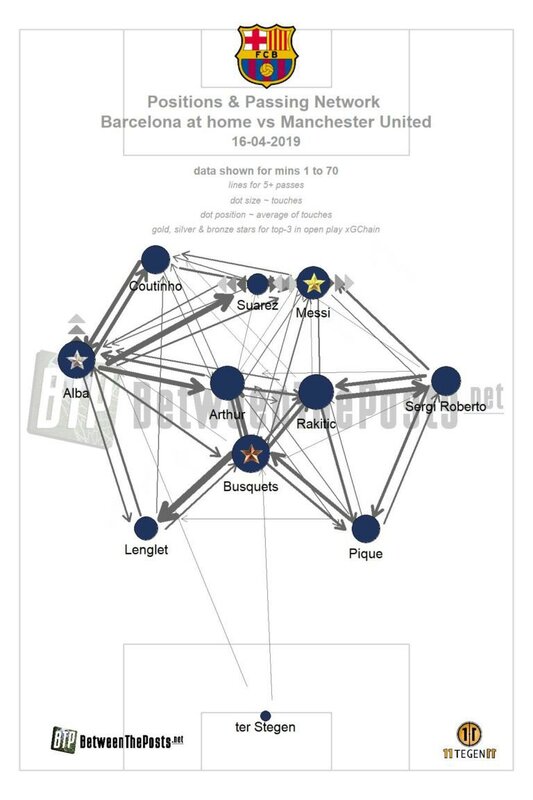 Statistical Analysis: Who’s better, Clement Lenglet or Samuel Umtiti? Barcelona has the best defensive record out of the four UCL semifinalists, just 6 goals conceded in the whole competition. 96,708 at Camp Nou today. Biggest attendance of the season for Barca. What jersey from this season did you get and why? What are the supporters, with the big flags, behind gol sud called? How worried are you for Liverpool on a scale of 1-10? Coutinho doesn’t always score big goals, but he certainly scores goals in big matches! How many of you want to see Barca vs Ajax in UCL Finals ? During the International break there were evenings in which there was only one car parked at Barcelona's training centre. It was Dembélé's. 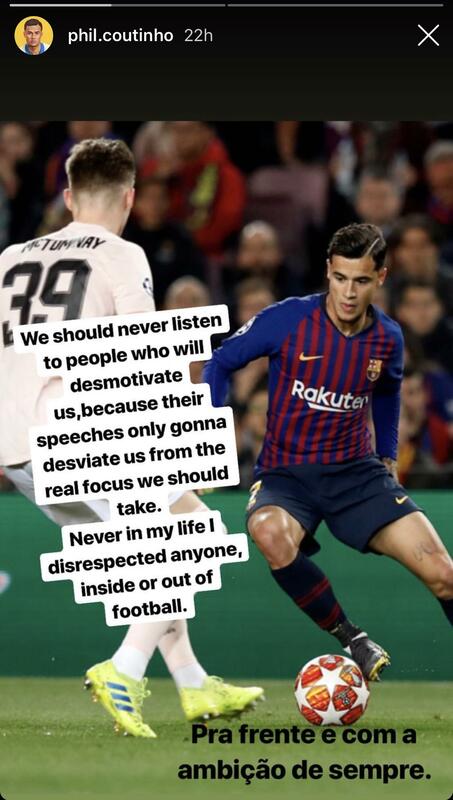 He has totally changed his attitude, he looks very happy in training sessions and has become good friends with Todibo. Ernesto Valverde no longer has a Gala XI - Only Ter Stegen, Pique, Alba, Busquets, Rakitic, Messi and Suarez are untouchables. The other four places are up for grabs. Bartomeu: "I'm looking forward to seeing Riqui Puig as a first team player, he is one of the most important players of La Masia." How would you rank the most influential people/legends that have been apart of the club? Yesterday's match between Barça and Real Sociedad was the last working day for Francesc Satorra, known as "The Observer". He is retiring after serving the club for 41 years! How do we handle rotation going forward? How safe are we from decline as a club? An Ajax-Barcelona final would be perfect. 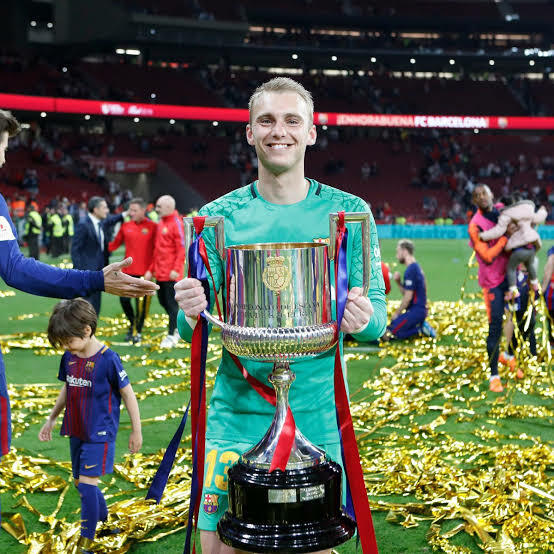 Ter Stegan: "After the game, I told De Gea that we all are humans and t that this ( the second goal) could have happened to me as well. The truth is that it took me while to celebrate that goal, because he shares the same position as me, and i share his pain. But life will continue"